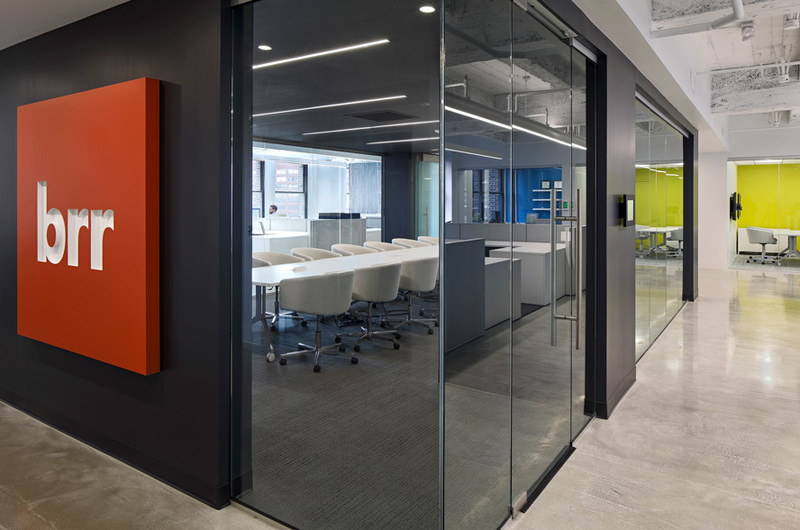 For their headquarters relocation to an upscale mixed-use development, Torch AI wanted a European-inspired environment that reflects the mobility of the company’s culture and work style. The company’s emphasis on flexibility, and team members’ ability to work from nearly any location, is a key theme throughout the space. Employees have multiple choices when it comes to where they work within the office – a benching system caters to a larger group of employees, while tables, booths, and bar seating in the lounge area provide an alternative option. 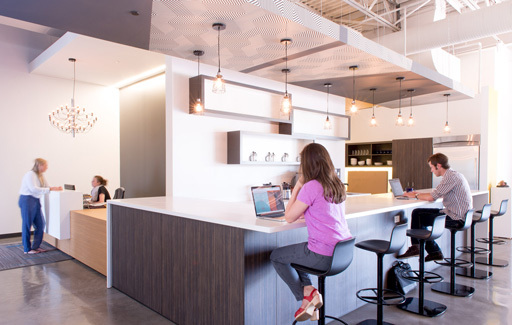 A large coffee bar is another focal point of the room, and speaks to Torch AI’s mission of being a place where clients and team members feel comfortable and energized. The neutral materials and tones are accented by subtle pops of color found in the furniture textiles. Contemporary lines and bold but simple fixtures balance the space and achieve the desired European aesthetic.